Garmin Drive 60LM. Helpful Driver Alerts for Your Daily Commute. Once connected, you can easily see vehicles, pedestrians and other obstacles right on the Garmin Drive 60 display, as you move in reverse. Model is identical to the VIA 1535 that is more prevalent. It's genius! Free Daily Map Changes from the Map Share community. Easyport mount. Never miss your exit or turn with Advanced Lane Guidance. New Navdy – Heads Up Display & GPS Navigation NVD01 Bundle. Shipped priority mail. Tested and working 100%. Unit may be dark grey or light grey in color. 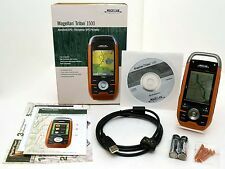 Magellan eXplorist 100~Handheld Portable GPS~Geocaching. Condition is Used. Works. Comes with manual and VHS instructional video. Shipped with USPS First Class Package. RAND MCNALLY OVERDRYVE 7 PRO GPS Mint Condition! 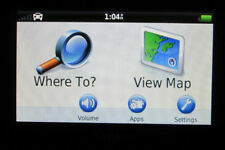 RAND MCNALLY OVERDRYVE 7 PRO GPS Mint Condition!. Condition is Used. Shipped with USPS Priority Mail. 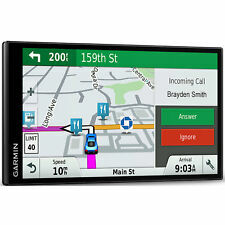 Garmin nuvi 3590 LMT 5" GPS- Bluetooth GPS Navigator With Voice Commands. 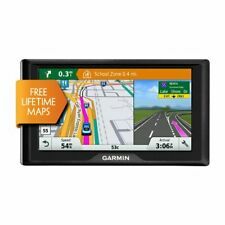 Garmin nuvi 3590 LMT 5" GPS- Bluetooth GPS Navigator With Voice Commands.. Condition is Used. Shipped with USPS First class Mail. Strong reception, lightly used. Navigator only, no accessories, cables or charger included. Working perfectly. 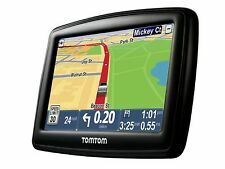 Tom Tom's Bluetooth device is designed for people who already own a compatible device that supports Bluetooth. Upgrades available. No exceptions! For USA Canada Worldwide. NOT REFURBISHED! NEW OTHER. OPEN BOX. NEVER USED OR ASSEMBLED. WILL RECEIVE ALL THAT YOU SEE IN THE PICTURES ONLY. Set it Up and Go. Battery life: 13 hours. Battery: 115mAh. Weight: 2.12 oz. Very nice condition. Still has plastic display protector. See pics for further detail. Uses 2 AA batteries.